The nineteenth century - the Era of the Interior - witnessed the steady displacement of art from the ceilings, walls, and floors of aristocratic and religious interiors to the everyday spaces of bourgeois households, subject to their own enhanced ornamentation. Following the 1863 Salon des refuses, the French State began to channel mediocre painters into the decorative arts. England, too, launched an extensive reform of the decorative arts, resulting in more and more artists engaged in the production and design of complete interiors. America soon followed. Present art historical scholarship - still indebted to a modernist discourse that sees cultural progress to be synonymous with the removal of ornament from both utilitarian objects and architectural spaces - has not yet acknowledged the importance of the decorative arts in the myriad interior spaces of the 1800s. Nor has mainstream art history reckoned with the importance of the interior in nineteenth-century life and thought. 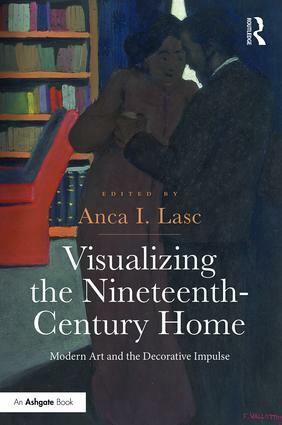 Aimed at an interdisciplinary audience, including art and design historians, historians of the modern interior, interior designers, visual culture theorists, and scholars of nineteenth-century material culture, this collection of essays studies the modern interior in new ways. The volume addresses the double nature of the modern interior as both space and image, blurring the boundaries between arts and crafts, decoration and high art, two-dimensional and three-dimensional design, trompe-l'oeil effects and spatial practices. In so doing, it redefines the modern interior and its objects as essential components of modern art. 1 The Microcosm as Interior in Théophile Gautier’s "Marilhat"
Anca I. Lasc is Assistant Professor of History and Theory of Design in the History of Art and Design Department, Pratt Institute, USA.